What will God do so that there's not an Atheist left in the whole world? In this "The Truth Will Set You Free" TWave Radio episode, Pastor Vic Batista of Calvary Chapel Aventura located in the Miami, Florida area and I will continue our ongoing study of the Gog-Magog War found in Ezekiel 38-39. Vic Batista: Can you give us a brief recap of the ending of Ezekiel 38 before getting into Ezekiel 39? Nathan Jones: Ezekiel 38-39 is the longest described end time war in all of the Bible. It is even given more detail than the Battle of Armageddon. It is a war where God entices Russia's leader, Gog, to come down and want to take all the wealth of Israel. We see today that Israel's wealth has dramatically increased since they have found the natural gas buried deep in the Mediterranean Sea. Russia wants those gas lines, so they will plot and plan to come and take out Israel. Gog will gather a coalition of nations, which interestingly are all Islamic. They're named and consist of Turkey, Iran, Libya, the Sudan and Ethiopia, and some other nations such as all those 'Stan nations. They will come against Israel like a great horde. Combined they will comprise such a tremendous army that there is no way that Israel, even with their effective and technologically advanced army out there, can deal with such a force because it'll be too big to handle. This is the point when God steps in to defend Israel. He throws everything at Gog and Magog. An earthquake shakes the world. He throws down hail. He throws down fire. The armies turn against each other and start killing each other. This entire horde will be supernaturally destroyed. The purpose of the Gog and Magog War is contained in verse 23 of Ezekiel 38. God says, "I will magnify myself, and sanctify myself and I will be known in the eyes of many nations. Then they shall know that I AM the Lord." Through the Gog and Magog War, God is stepping back into human history. He's taking the focus off of the Church and moving it onto Israel. I believe this will happen just before or during the very beginning of the Tribulation, which is that seven year judgment coming upon the whole earth when God will punish the worlds' sins. Vic Batista: Verse 23 is indeed a very important topic and crucial to the whole purpose of the Gog and Magog War. Nathan Jones: There lies the beginning of the sanctification of the Jewish people, as well as the magnification and the glorification of God Almighty. The world today is thinking that God has checked out. He is out there somewhere doing His thing. Or, they don't believe in Him whatsoever. The churches and other religions are running a muck as if He isn't there. But, there is a God of the Universe. He has sworn to fulfill His promises for the people of Israel, the Jews. He has regathered them from around the world, just like He promised. God has made them a nation, just like He promised. He will lead a remnant, a third of them, back to knowing Him as God and accepting Jesus Christ as their Savior. And so, the purpose of this Gog and Magog War not only is to wipe out Israel's enemies, but also so that the world will know there is a God. I think after this war there won't be a single Atheist left on this planet, well at least a single credible Atheist left on this planet! Vic Batista: That's one of the reasons why I really love this message here in the Word of God, because at the end of the day God wants people to know who He is and how much He loves them. He sent His Son, Jesus, to die at the cross. In John 1 it tells us that God walked among us so that people would know that God really cares and that He has a plan for them. God as to give people a wakeup call, and the Tribulation is going to be the biggest wakeup call ever! In the meantime, we also see that there are signs that are pointing to Christ's return right now, and that also serves as a wakeup call for those who really want to see it. Nathan Jones: Exactly! Jesus in Luke 21 gave us ten different signs that point to the soon return of Jesus Christ. The signs will come more frequently and intensely like birth pains. We are getting closer and closer to that end time, and an event of that end time is what we call the War of Gog and Magog. 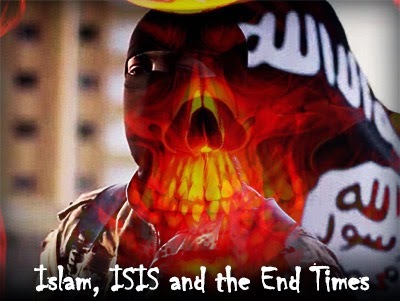 It's this end time battle that brings Russia and the Islamic world against Israel. God will step in and defeat them. I believe the God and Magog War sets up the beginning scenario for what the Tribulation will look like. Vic Batista: Ezekiel 39 brings us forward through this incredible movie, in a sense, that is being played out here. "And you, son of man," in other words God is addressing Ezekiel, "prophesy against Gog," this ruler of Russia, "and say, 'Thus says the Lord God: "Behold, I am against you, O Gog, the prince of Rosh," which is Russia, "Meshech and Tubal," which are the old names for parts of Turkey. "And I will turn you around and lead you on, bringing you up from the far north, and bring you against the mountains of Israel. Then I will knock the bow out of your left hand, and cause the arrows to fall out of your right hand. You shall fall upon the mountains of Israel, you and all your troops and the peoples who are with you; I will give you to birds of prey of every sort and to the beasts of the field to be devoured. You shall fall on the open field; for I have spoken," says the Lord God." Chapter breaks and verse breaks didn't come until about 2,000 years after Ezekiel wrote this, so there wasn't a break between 38 and 39. These breaks have been added for ease of finding and referencing Scriptures. So, obviously, chapter 39 is just continuing the thought of 38. God is reiterating destroying these nations because they want to destroy His covenant people, Israel. You'd think these nations are attacking Israel on their own, but God is enticing them so He can gather them together and destroy them and show the world His power. God gathers them from the farthest north, which is Russia, and He brings those nations down and He destroys them. These nations cannot destroy Israel no matter how hard they try, because the Lord is with Israel. The text says that the invaders will fall on the mountains of Israel. There are a number of mountains that run north to south through Israel. The invaders come up these mountains, and that's where these armies are destroyed. Vic Batista: God is really in control. Nothing really happens without God knowing. It isn't like God goes, "Oops! I didn't know this was going to happen." He is setting up the stage, right? Nathan Jones: Exactly. God is sovereign. He knows what's going on. We sometimes think that the world is spinning out of control, but it's not. God is just patient. He is waiting for all who will become saved. He works towards His own end. He takes what man means for evil and He turns it good for His purposes. When we see the Gog and Magog nations coming against Israel, they're just a precursor. When we read about the end of the Tribulation, it's not just Russia and this coalition of nations coming to destroy Israel, but every nation under the Antichrist comes against Israel. This war is kind of just a precursor of what will happen later when the entire world tries to destroy Israel. Vic Batista: Absolutely. God is patient and He is in control. He is allowing all these events to take place because He is trying to get our attention. God loves us. He has a plan for mankind, and that plan starts with a relationship with Jesus Christ. Nathan Jones: To really know God, you have to know Jesus Christ, His Son. Jesus gave His life on the cross — a perfect man dying for us. He is not just a man, though, for He is God and man combined. He purchased our salvation by dying on the cross, so that when you and I accept accept Jesus in faith, the punishment of our sins falls on Jesus Christ. Our crimes are off us. That frees us to have eternal life with God, where we can be forgiven and loved forever. Knowing Jesus Christ is so important. This Gog and Magog War is a stepping stone in the process of getting the Jewish people and others in the world to know that God is here, and to accept His Son, Jesus Christ. Vic Batista: Good point. We cannot lose sight that this is also God's purpose for the nation of Israel. God is not through with Israel, right, Nathan? Nathan Jones: Yes, that Israel came back as a nation 1,900 years after the Romans destroyed it in 70 AD, that shows God has a purpose. That rebirth has meaning. We need to take it seriously. Israel's return is not an accident or an aberration of history. No nation comes back to life after 2,000 years. As a matter of fact, Ezekiel 36 and 37 prophesies the return of Israel coming back from the dead and becoming a nation once more. So, for this Ezekiel 38-39 to happen, Israel had to have become a nation again. This is a fulfillment of Bible prophecy in our day and age. With Israel back in the land, we know that this Gog and Magog War is coming. Then, if you look at Ezekiel chapters 40-48 which follow this Gog and Magog War, they are about the Millennial Kingdom. They're all about Jesus ruling and reigning for 1,000 years on this earth. So, it all fits together chronologically. Vic Batista: Anyone who is new to the Bible could simply start in chapter 36, right? Nathan Jones: Yes. Just read it right through. Ezekiel doesn't address the Tribulation exactly. There are other passages and other books of the Bible that do that. This war is in or around the Tribulation, but it is not related to Armageddon. When the nations of the world look and say, "Hey, wait a minute! Russia is making all these alliances with Turkey and Iran. That doesn't make any sense. Why are they doing that? All these countries that hate each other are uniting in their Islamic hatred of Israel. Why?" We can see that finally the scenario is fulfilled, the scene is set, and the stage is ready for this war to happen. That's why. In the thirteenth segment of our study of the Gog & Magog War of Ezekiel 38-39, Vic and I will marvel at a dramatic shift that will utterly change the world geopolitically.